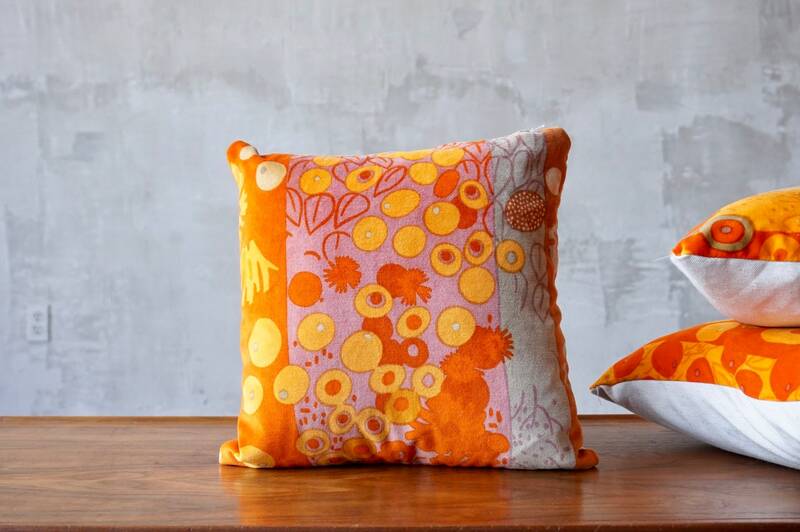 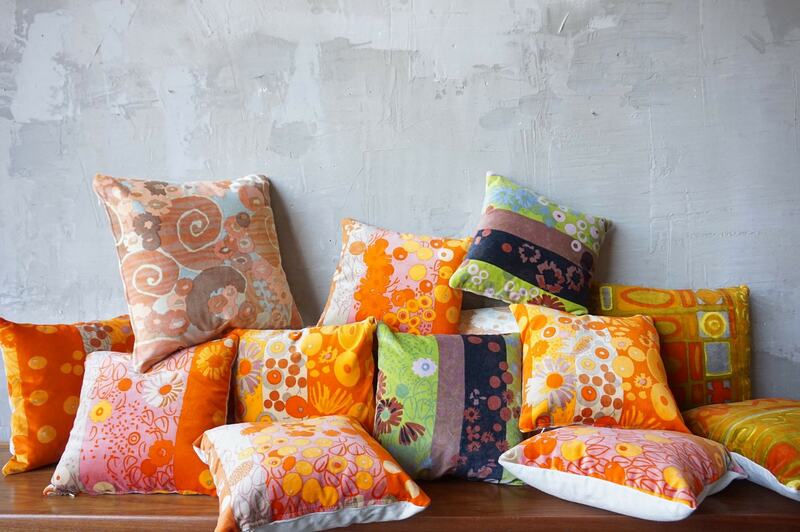 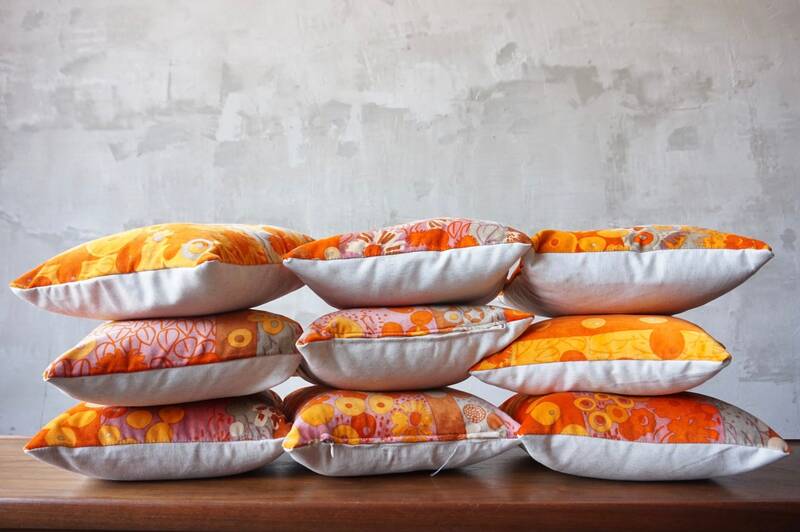 Incredible Jack Lenor Larsen printed velvet pillows in rich pinks, oranges, reds and greys. 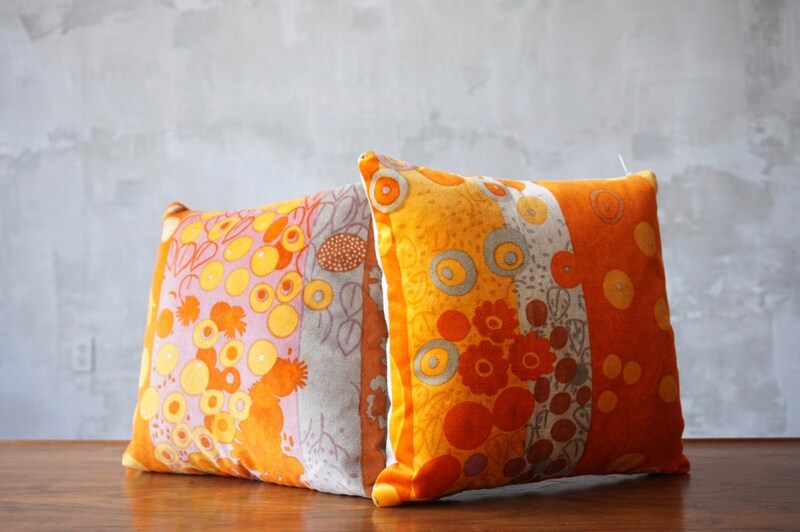 We have 9 of these 12” pillows available. 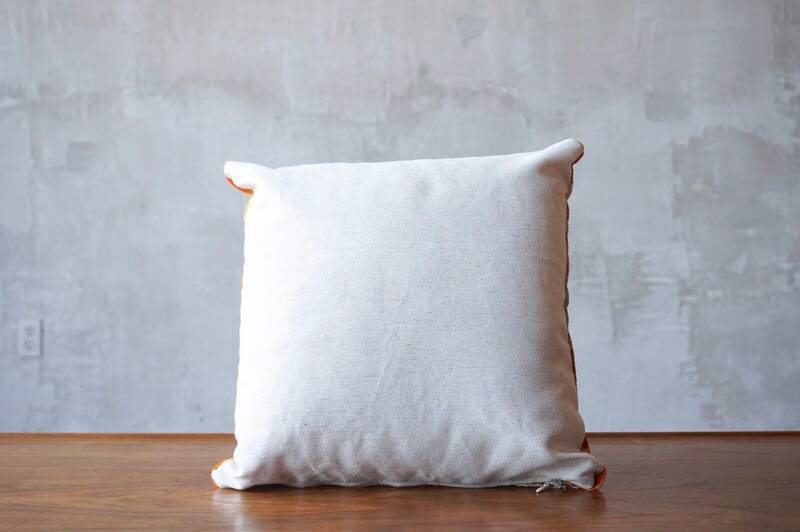 Back side is natural linen and each has a new hypoallergenic pillow insert.